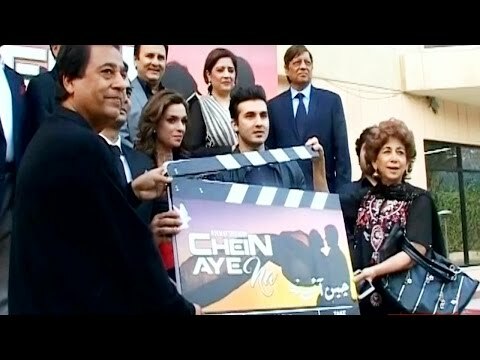 A new Pakistani movie Chein Aye Na releasing this year. Movie is directed by syed noor. Sheroz Subzwari, Miss Pakistan Sarish khan and Adil Murad son of Waheed Murad doing leading role in it. In launche party of film director said movie will be romantic and will included some new faces.The upcoming movie also includes an ensemble supporting cast that includes Sarish Khan, Atiqa Odho, Nadeem Baig, Behroze Sabzwari, Danish Nawaz, Mustafa Qureshi, Saima Noor and Moammar Rana.